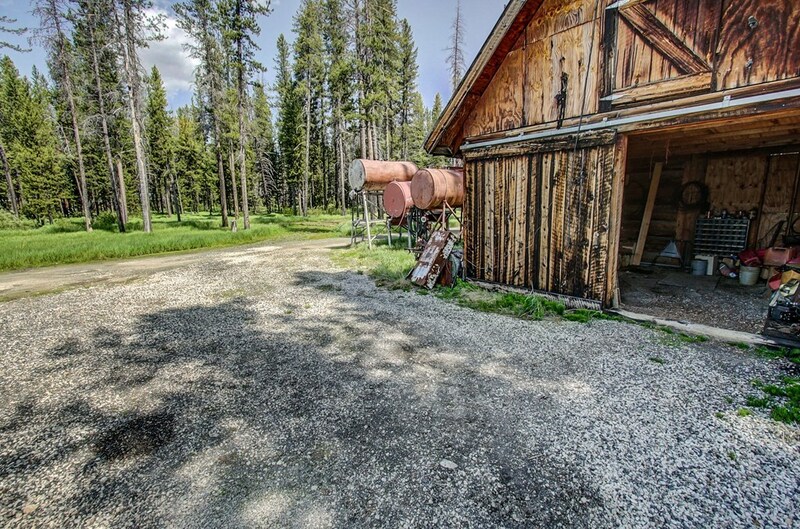 Cozy newer cabin that backs up to Forest Service land. 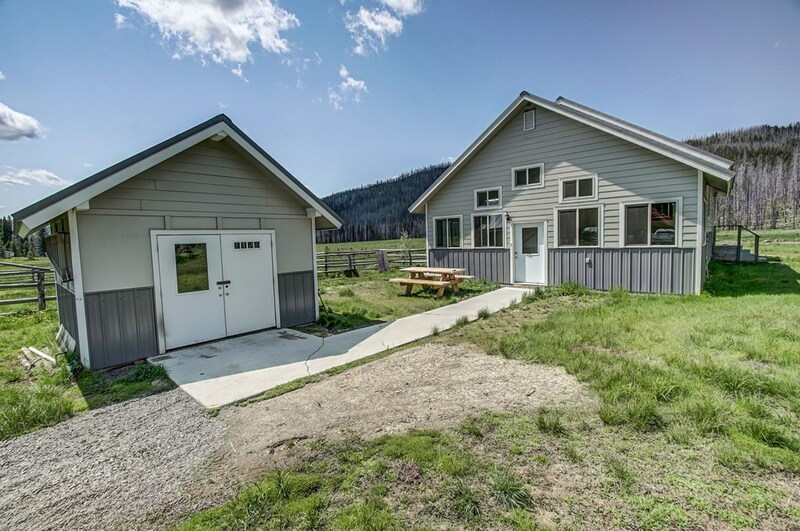 Totally off the grid, with solar power and wood stove heat. 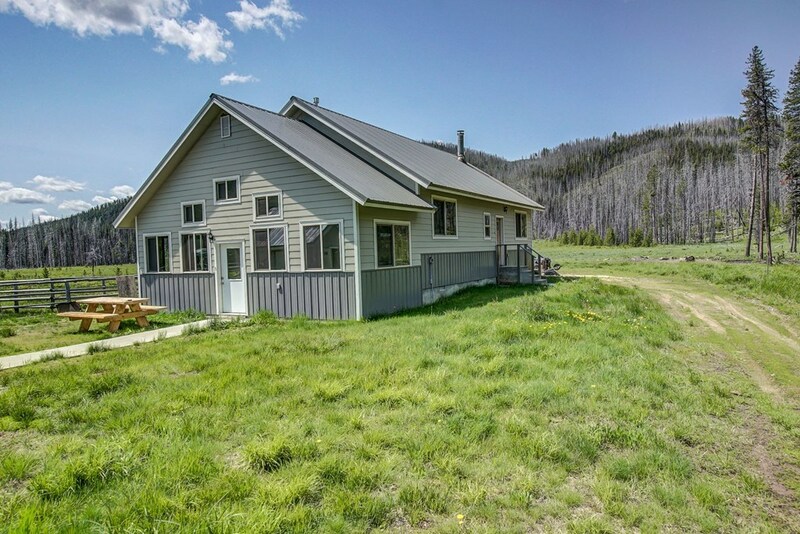 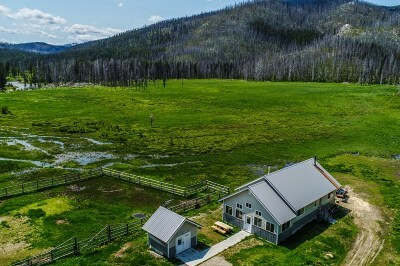 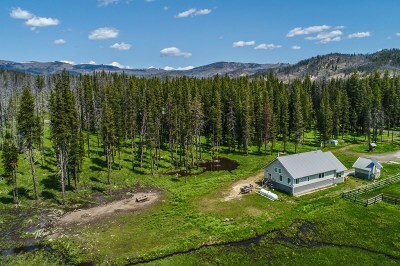 Located in the Meadow with lots of sunlight, yet tucked back off the road. 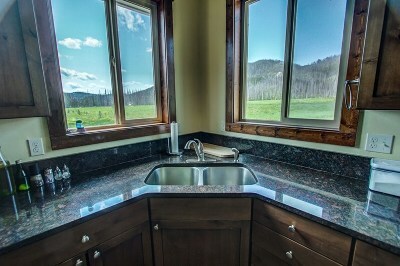 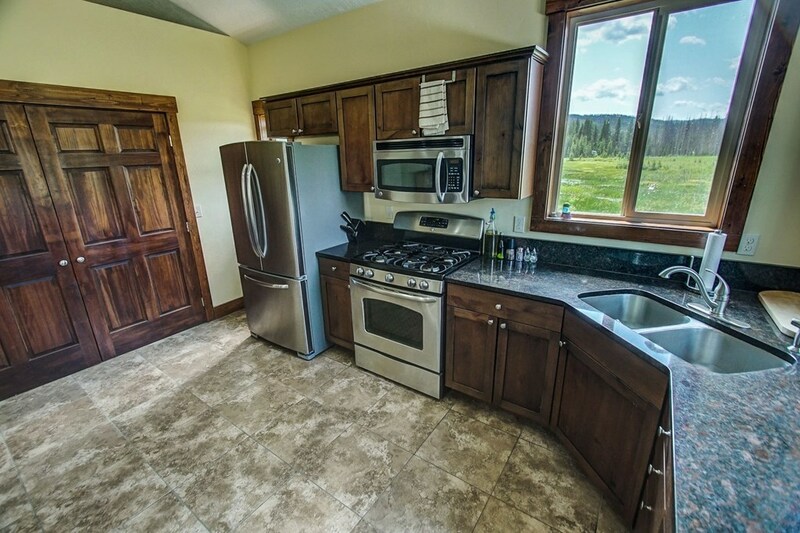 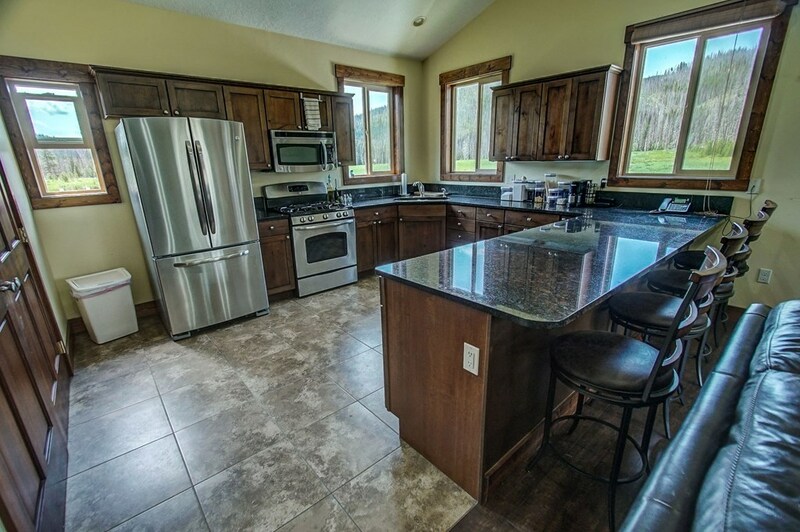 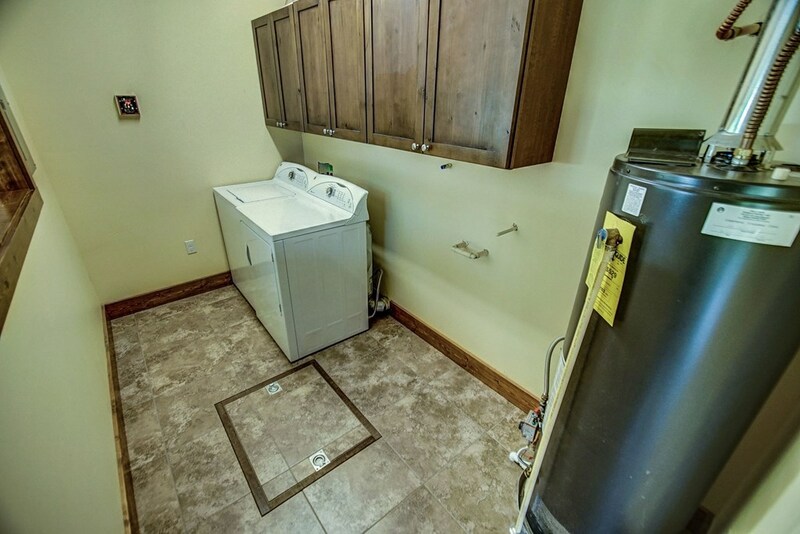 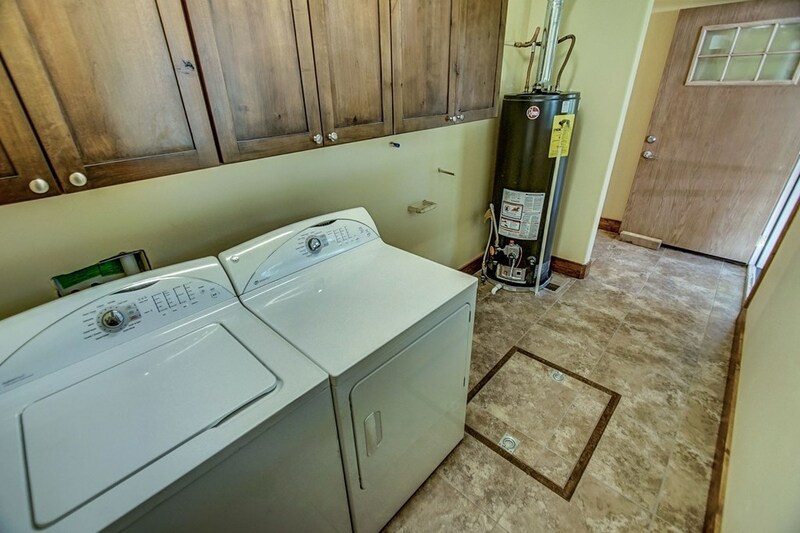 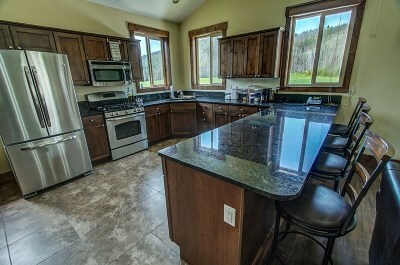 Kitchen has granite countertops, and nice appliances. 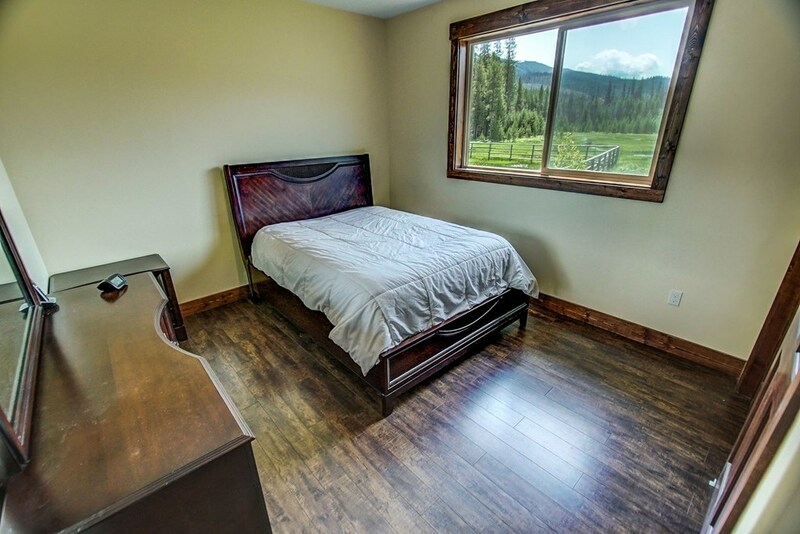 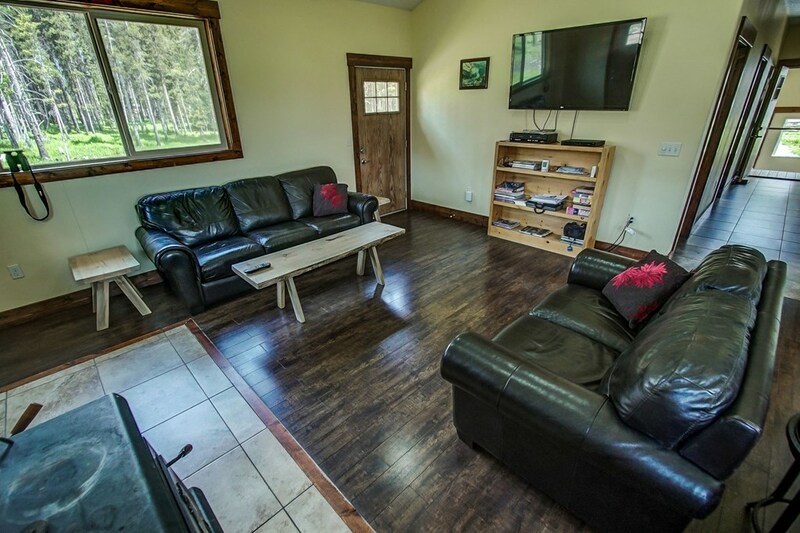 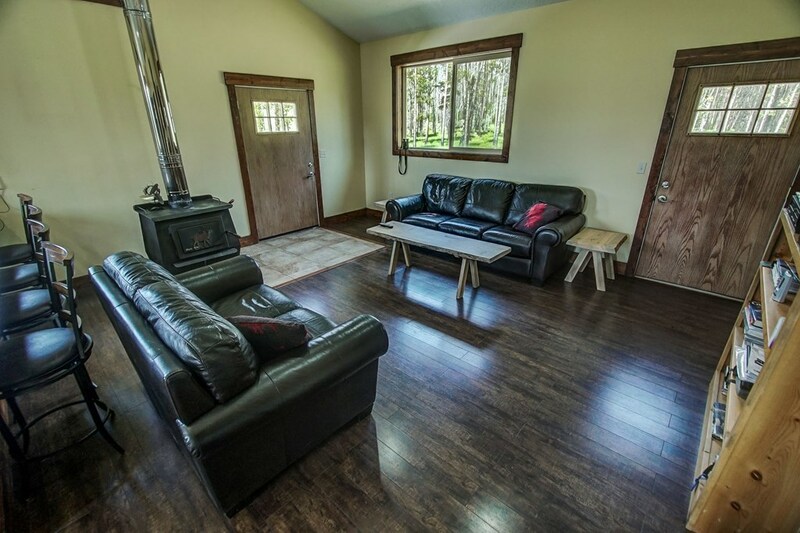 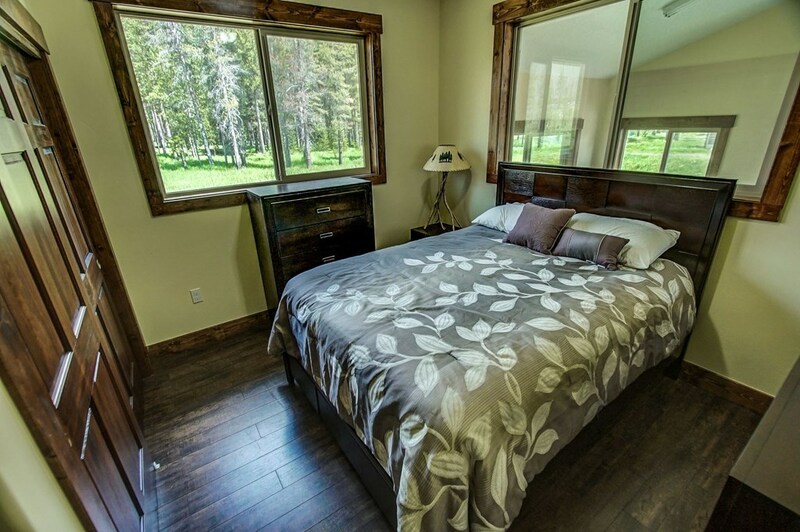 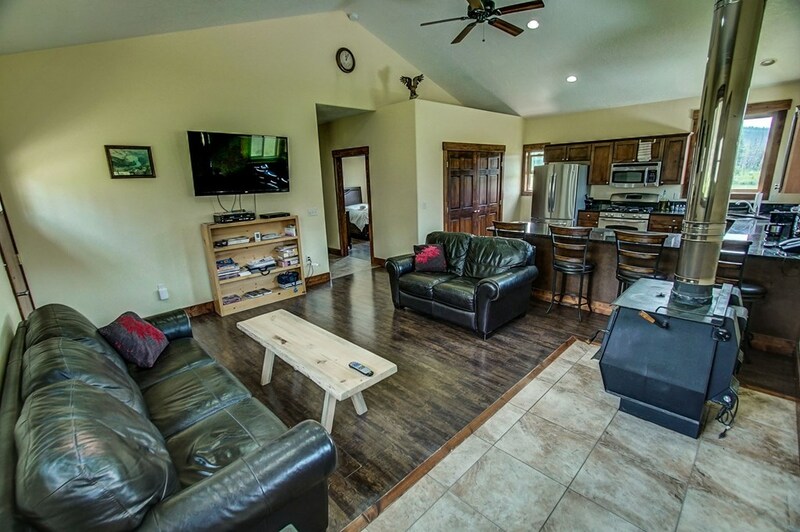 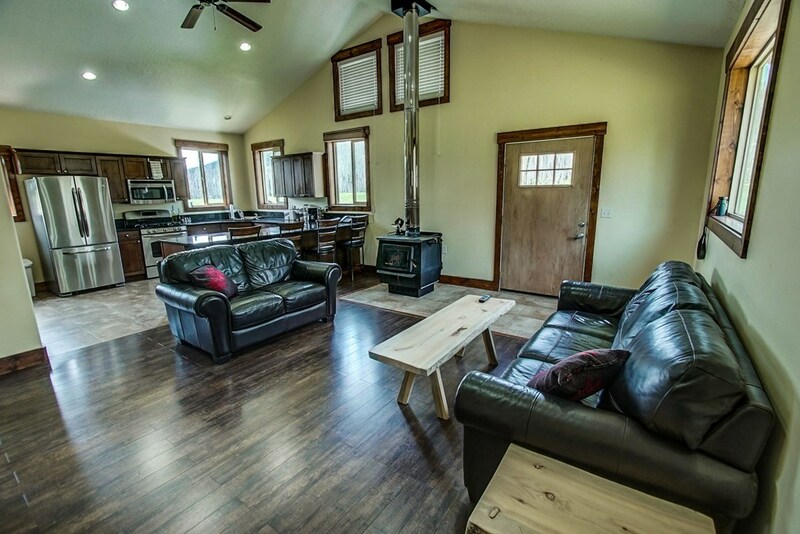 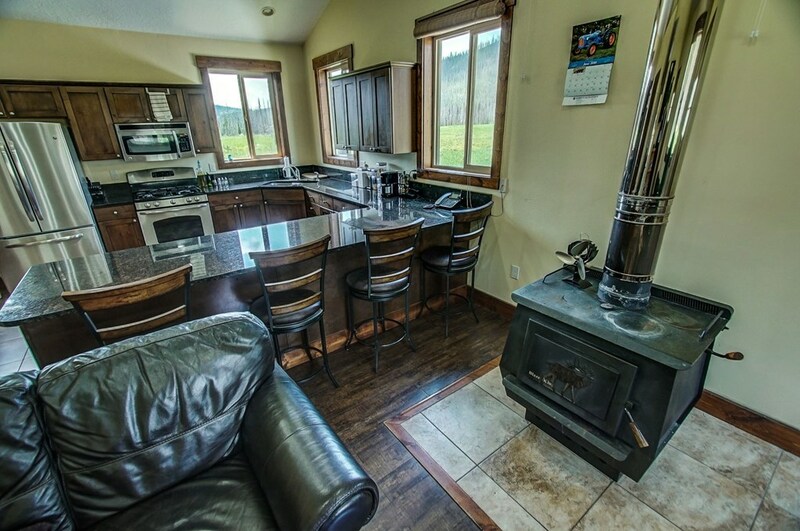 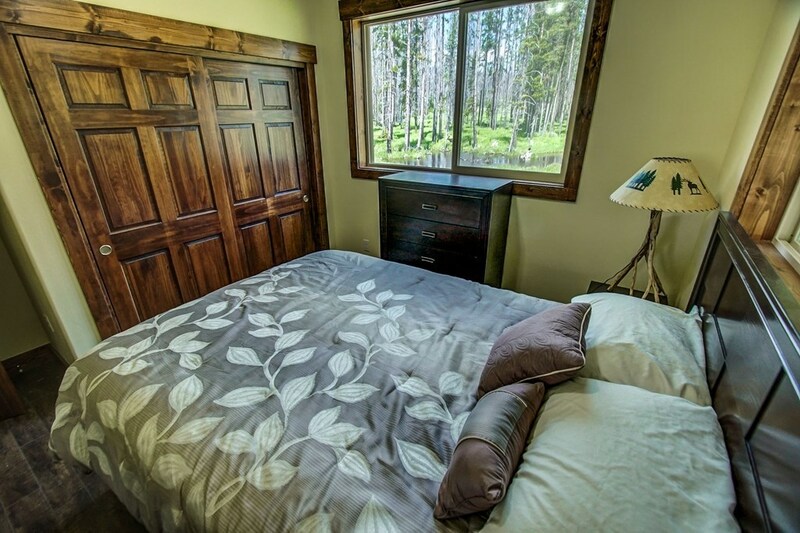 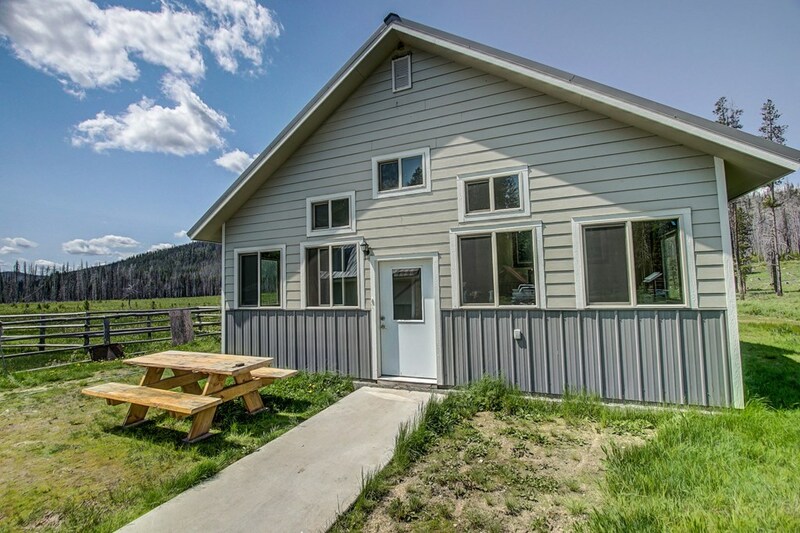 Spacious living room with wood stove and lots of windows to view the wildlife. 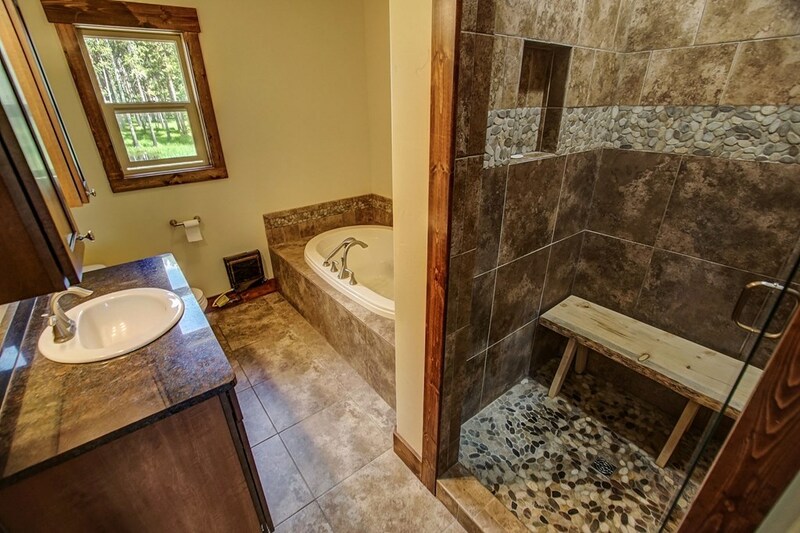 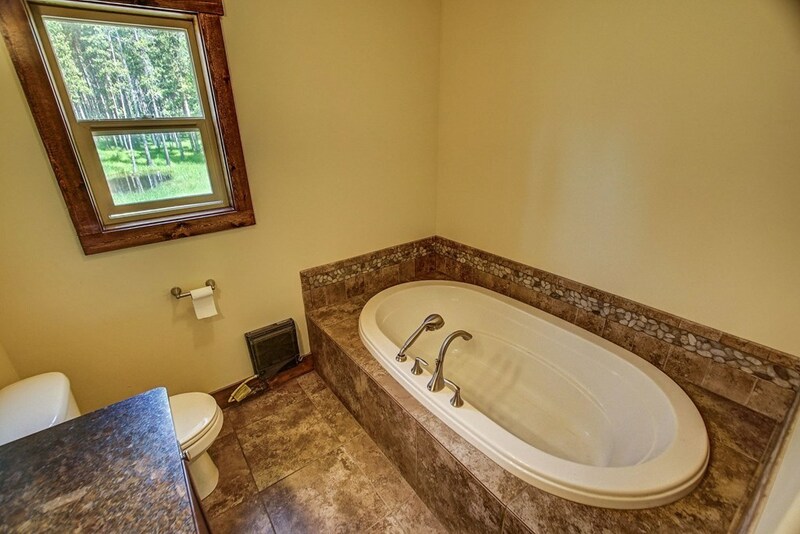 Nice tile bathroom with full size shower and bathtub. 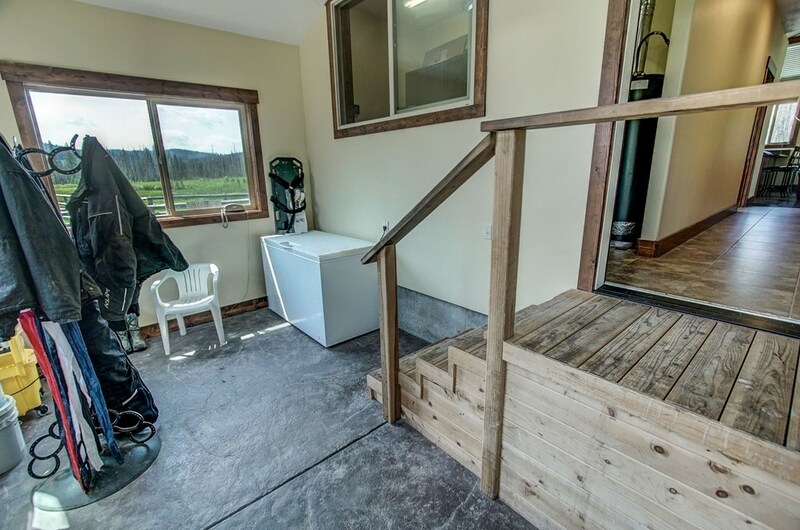 Large mud room for your gear. Very energy efficient cabin. 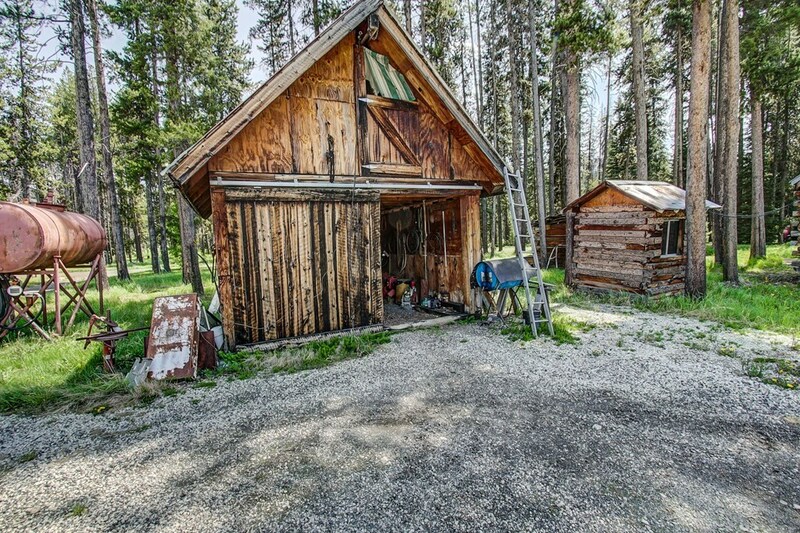 Small storage shed and an old garage is also on the property. 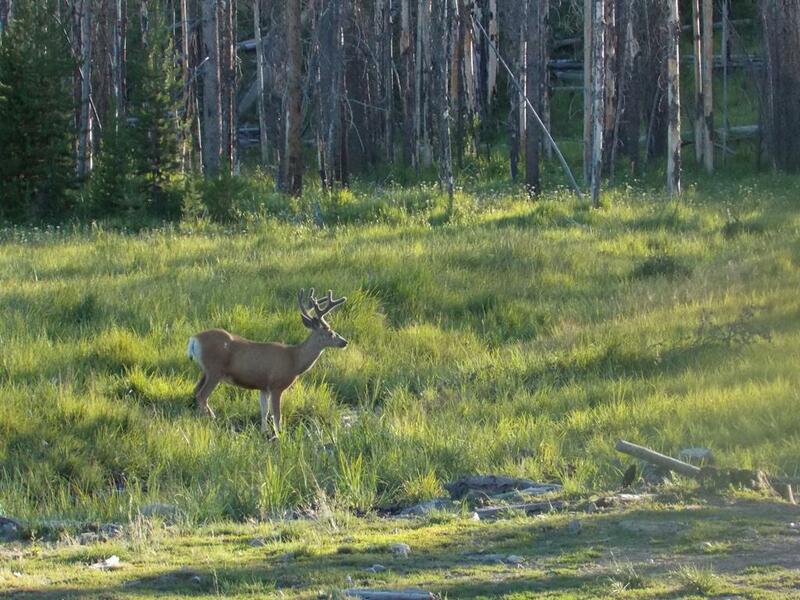 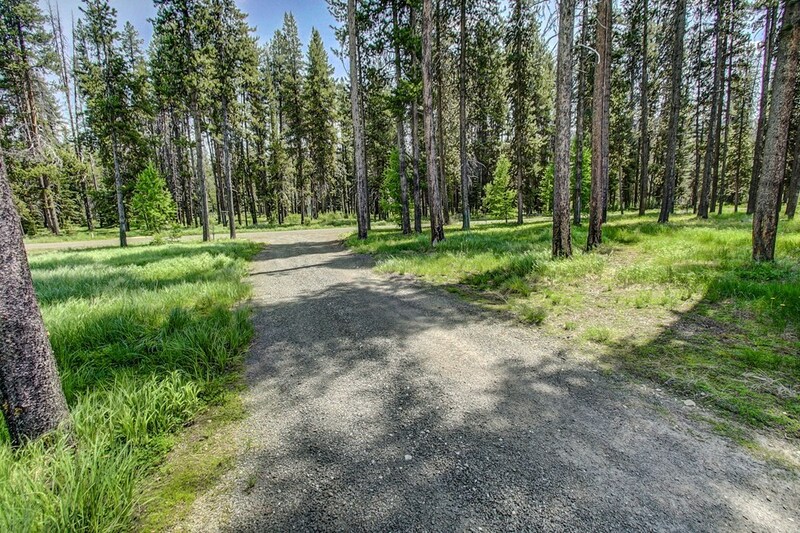 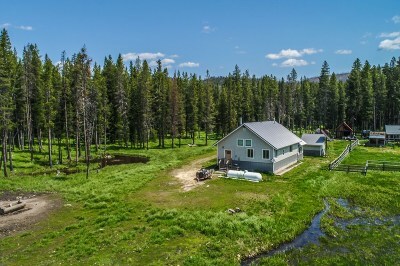 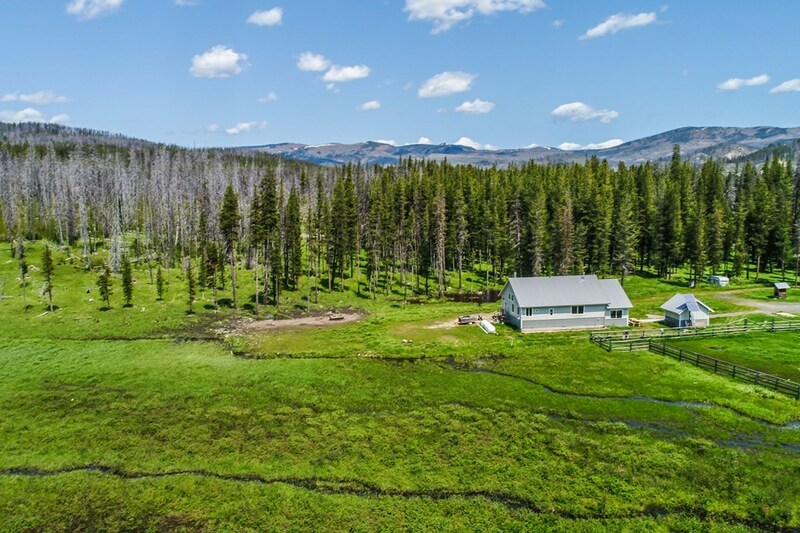 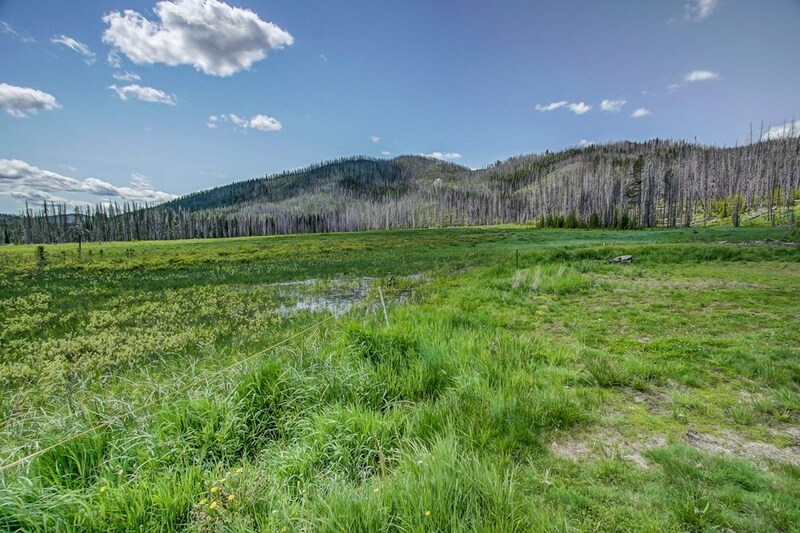 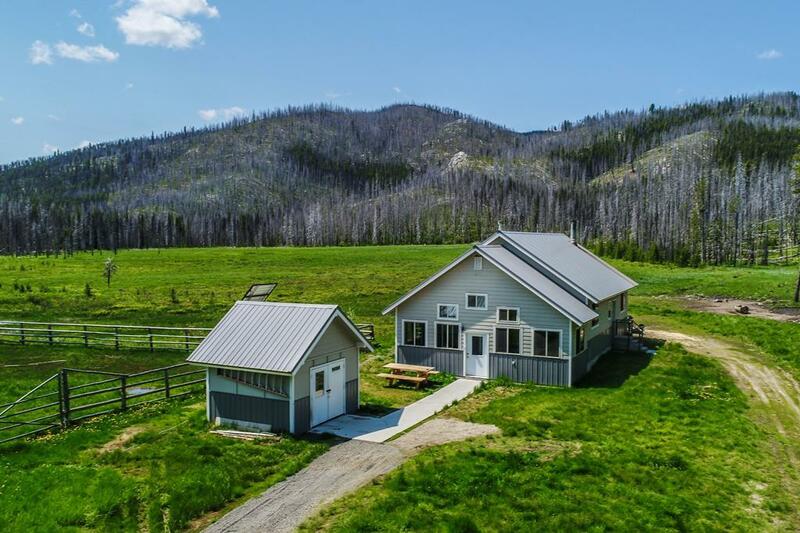 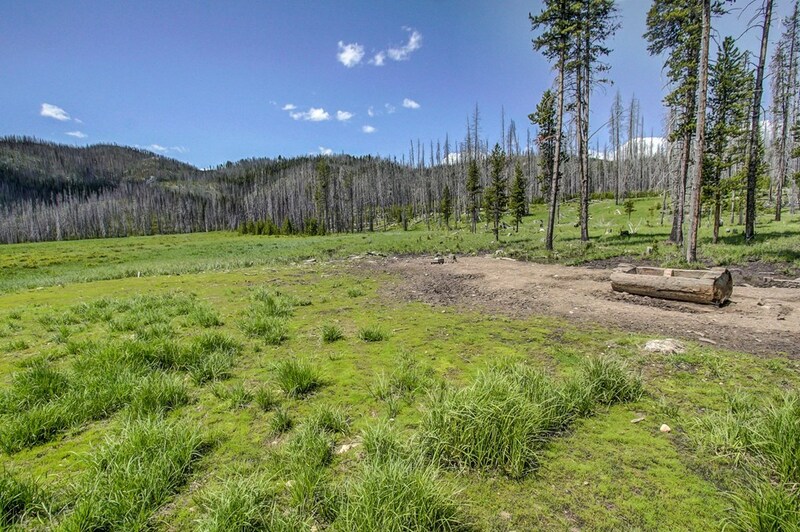 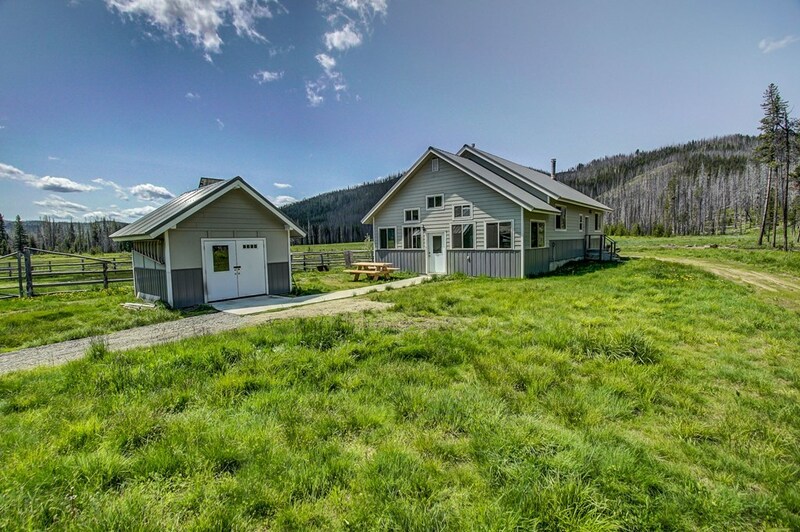 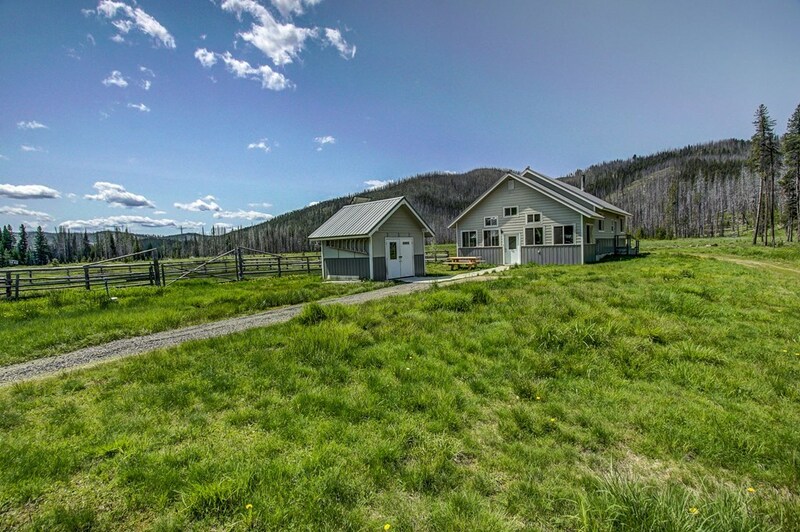 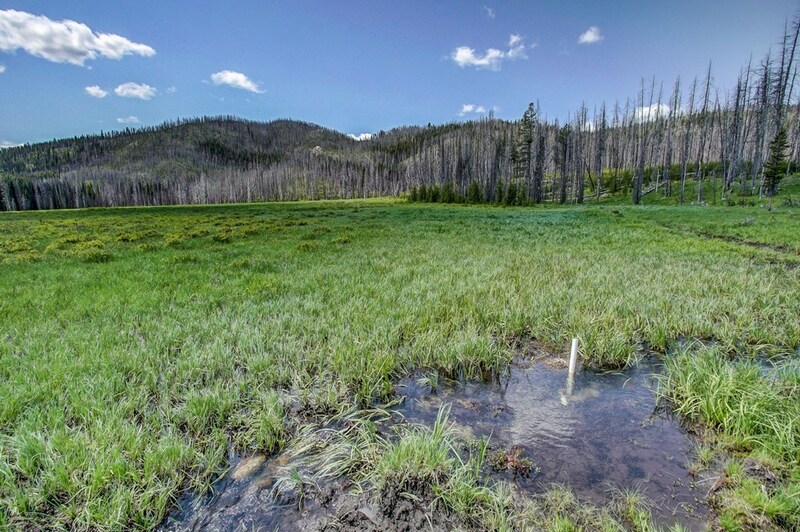 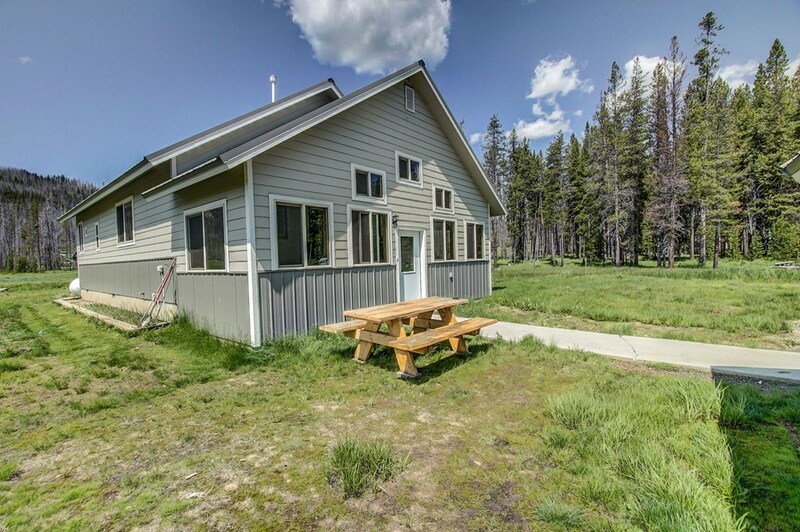 Walk onto USFS land right from the back of your property! 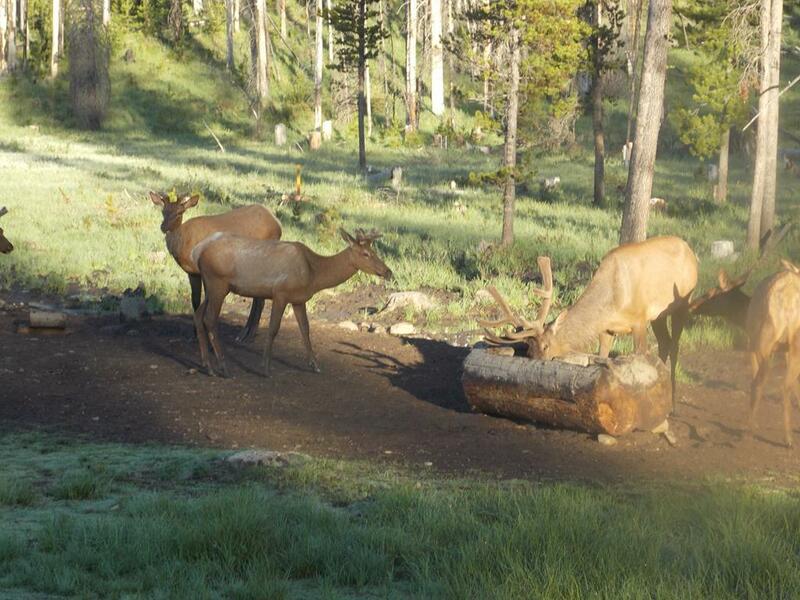 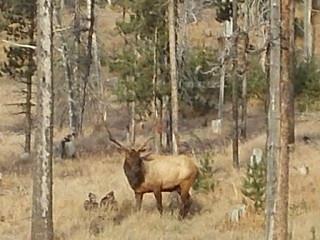 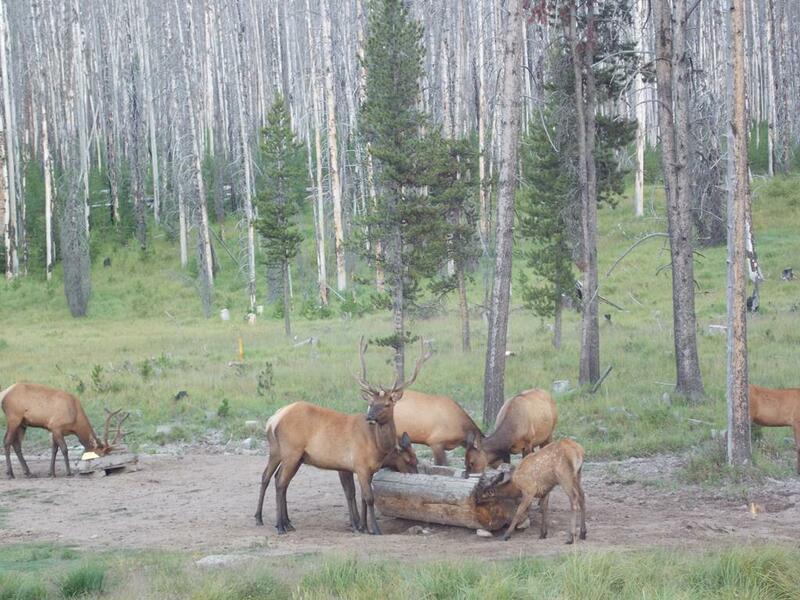 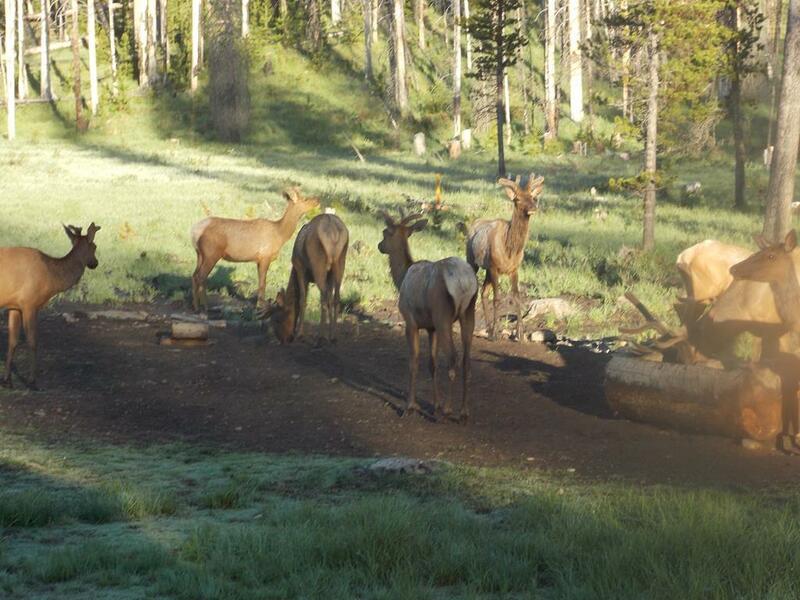 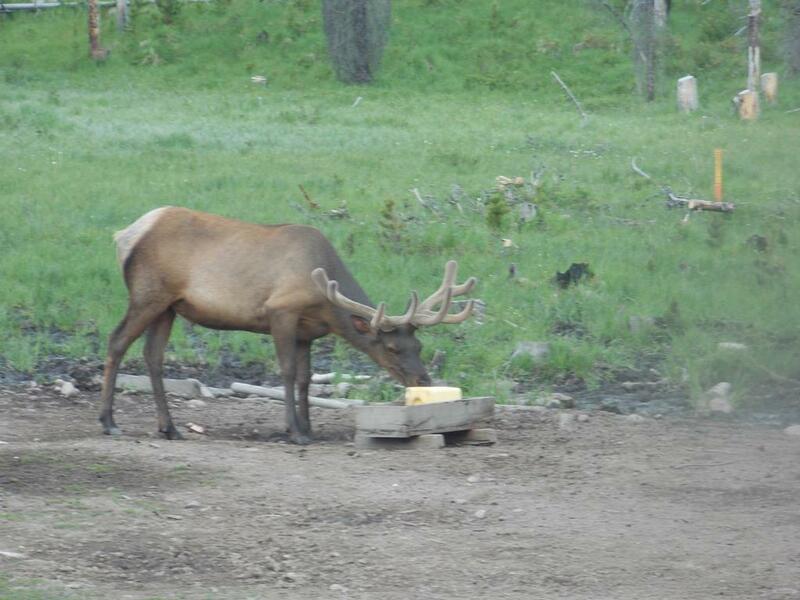 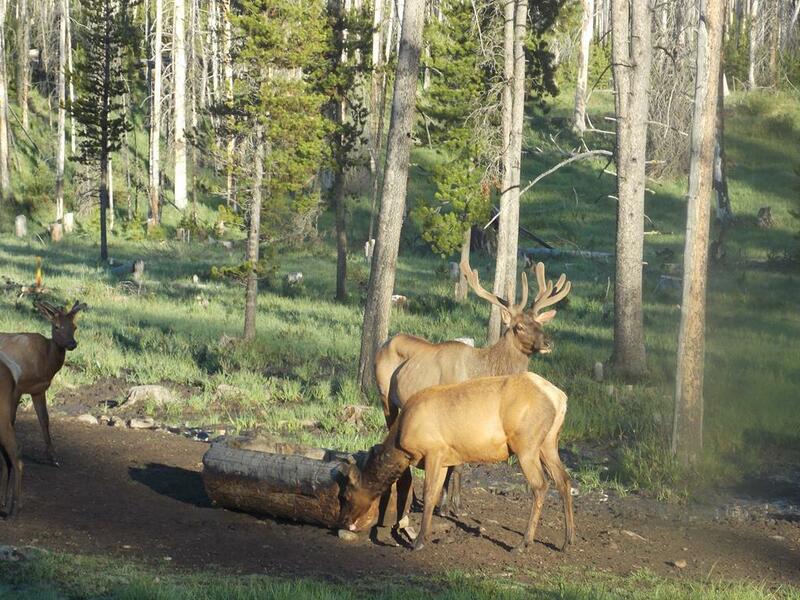 Elk frequent the property often.